Please join us outside on the patio (weather permitting) as we welcome Spring! 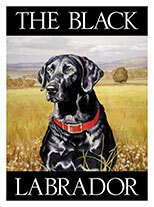 For 30 years the Black Labrador Pub has been a Houston tradition. Located beneath the Campanile tower on Montrose Boulevard.